The Cincinnati Bengals may be without one of their best offensive playmakers for at least the start of training camp in August. According to reports, Tyler Eifert is suffering from a back injury and is unsure if his former Pro Bowl tight end will be ready for training camp. "When (the doctors and trainers) tell him or release him to do what we can do, then he'll be ready to go," Bengals head coach Marvin Lewis told the Dayton Daily News when asked if Eifert would be ready for training camp. "The main thing is for him to stay up with everything mentally and when he can get the reps he can get that he was getting before when there wasn't defense over there it was good. There's no reason to get him jostled around right now until the time comes." Eifert played just two games last season after having a third back surgery. Through five NFL seasons, he has missed 41 games and played in 39. 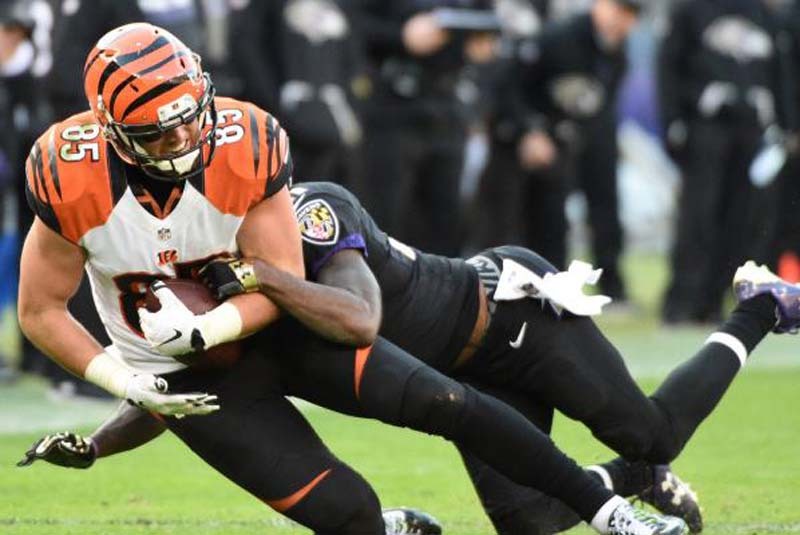 The Bengals brought Eifert back on a one-year deal because of his injury history, so both the talented tight end and the team are banking on a big season from him.